In this definitiveguide to Utah’s WasatchRegion, entertainmentabounds, from the ski slopesof Park City to the theatersof Salt Lake. Set against thestunning backdrop of theRockies’ impressive peaks,this region offers the perfectpairing of outdoor escapesand urban options—withconvenience, accessibility, and affordability. Christine Balaz grew up in Bozeman, Montana and graduated from Dartmouth College in New Hampshire. She has lived in London and Berlin and has traveled extensively for educational, recreational, and athletic pursuits. Christine now lives in Salt Lake City where she is an avid rock climber, skier, and cyclist. 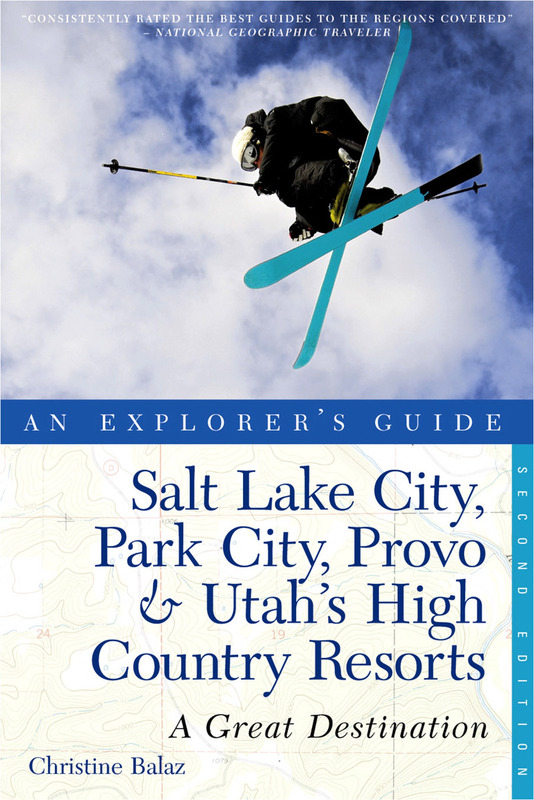 Christine is the author of Explorer's Guide Salt Lake City, Park City, Provo & Utah’s High Country Resorts and Backroads & Byways of Utah.